Come, delight in the many fall festivals happening around Delaware. The Fall season brings a bounty of festivals taking place around the Delaware region. 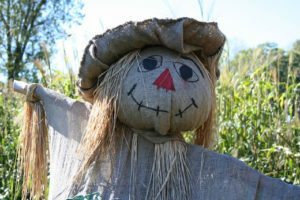 Festivals of all sorts are held up and down the state from those with a seasonal theme to music events and craft fairs. The events and activities are great fun for both locals and first-time visitors seeking a day outing. Many are family-friendly and open to the public. Be sure to bookmark our Calendar of Events page on our website for an updated listing of monthly events. Sponsored by Lewes Chamber of Commerce and Lewes Historical Society, Boast the Coast Maritime Festival will offer boat rides, food tastings, children’s activities, sidewalk sales, and a craft fair. For information visit www.leweschamber.com. The Lewes Historical Society invites the public to admire and celebrate the work of more than 70 talented artisans at the 2018 Lewes Fall Craft Fair at the Historic Campus at Second and Shipcarpenter Streets in downtown Lewes. Enjoy historic Lewes while enjoying live music and delicious food. Admission is $5 per person each day, children under 12 free. Proceeds will benefit educational and preservation programs at The Lewes Historical Society. Visit www.historiclewes.org for more info. Produced by the Delaware Celebration of Jazz, Rehoboth Beach Jazz Festival is four days of performances from global artists happening in the Cape Region October 11-14. Celebrating 29 years of jazz, the festival will occur in different venues in the area. The Rehoboth Beach Jazz Festival is a non-profit organization that raises money to help the Beebe Medical Foundation fund the Tunnell Cancer Center. For a full schedule visit www.rehobothjazz.com. The Delaware Wine & Beer Festival is celebrating it’s 9th year this October 13. This year’s event will take place at the Delaware Agricultural Museum and Village from 11am-4pm. The event features beer, wine and spirits tastings, meet the brewer opportunities, special demonstrations, food trucks, live music, outdoor games, special exhibits, and guided tours of the Agricultural Museum. Enjoy a world-class classical music performance with Awadagin Pratt October 20 at 7pm held at the Bethel United Methodist Church. While studying at the Peabody Conservatory of Music, he became the first student in the school’s history to receive diplomas in three performance areas—piano, violin and conducting. In recognition of this achievement and for his work in the field of classical music, Mr. Pratt recently received the Distinguished Alumni Award from Johns Hopkins. Get your tickets at www.coastalconcerts.org. The signature event of the Rehoboth Beach-Dewey Beach Chamber of Commerce, the Sea Witch Festival will hauntingly delight locals and visitors with events for all ages. Events include Jolly Trolley Magical History Tours, Halloween film screenings, a Tyke Bike Roll on the Boardwalk, Not-So-Spooky Scavenger hunt, live music at the Bandstand and so much more! At 9am Saturday, October 27, the signature Costume Parade on Rehoboth Avenue. And don’t miss the Best Costumed Dog Parade at 1pm Sunday, October 28 on the Boardwalk. The Delaware State Fair and Biggs Museum of American Art will present The Great Delaware Pumpkin Carve Festival at the Delaware State Fairgrounds in Harrington. The event will take place from 5-9 pm Friday; 3-9 pm Saturday. Check out the pumpkin patch, where 50 giant gourds—each weighing more than 150 pounds—will amaze all ages. 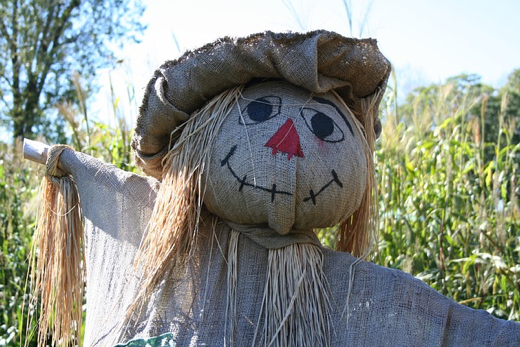 Festival includes hayride, a bonfire, kids pumpkin crafts, food selections, seasonal craft beer, wine and cider, walk-through attractions, and more. For more info, visit www.delawarestatefairgrounds.com. Enjoy a leisurely 1 ½-hour ride through the Brandywine Valley while sipping on local craft brews on the Wilmington & Western Railroad. Each $25 ticket includes two offerings of different beers plus a pretzel. One more opportunity left to take this ride on October 26. Train Departs at 7pm. Reservations are required. Be sure to come and experience all the area has to offer—any season of the year. Year-round there is much to see and experience. If you’re interested in calling this area your home it would be an honor to assist you with your house search. Schedule an appointment today.